Amina, 13, in Heleweyn camp, Ethiopia. Over the Harvard Graduate School of Education’s fifteen years of research on refugee education, the dilemma that is the focus of this week’s webinar is the one we hear most about from refugee parents and children. “Approaching the immediate crisis with a long-term perspective” encapsulates a resonant tension in the experiences of refugee families and the design of policies and programs: despite the clear desire for conflict to cease and for return “home” to be possible, most refugee children will spend more than two decades in exile. That’s their one shot at education. How do we address this tension? Our work points to ways in which this question is, at core, a question about the purposes of education. To explore this idea, I’m going to begin with a brief story, place it within the “Not A Box” framework, and then connect the story and the framework to thinking about the purposes of refugee education. The story. Six year ago, my family and I were visiting a nature sanctuary in Botswana, where my husband and I do work. We arrived just as it was getting dark and decided to eat our dinner in the car before setting up our tent. We opened the windows, loving to listen to the fall of night. Shortly, we heard a rustle in the bushes. “Is it a gemsbok?” our older daughter wanted to know. This antelope was her favorite animal. We shone the headlights of the car in the direction of the sound to reveal a rhino, enormous and right there in front of us. For months, every time our younger daughter, who was less than 2 at the time, heard a rustle – of the sheets in her bedroom, of a squirrel in the bushes by the sidewalk in Boston, she knew what it was: “Rhino!” She was learning about the world. Now the framework. Not A Box is a picture book. The Author-Illustrator, Antoinette Portis has a rabbit character, who starts out sitting in a box. I’ve seen children all over the world do this – any unclaimed cardboard box can become one of the best play things ever. But the thing is, as this rabbit and all children know, it’s not a box. It’s a car. Or it’s a robot. Or it’s a rhino hospital. It’s so many things! Just like the rustle: it’s sheets, it’s a squirrel. But the rhino, or the grown up, is bigger and more powerful, and that idea sticks. That rustle, it’s a rhino. That car-robot-rhino hospital. No. It’s a box. I’ve been in many situations where I’ve have gotten up the courage to speak, shared my ideas, which are different from what I have been hearing, and then heard back, “Oh yes, that’s so-and-so’s idea, the ABCD-XYZ framework.” Just as I am thinking, “Not exactly,” it’s too late. The label is slapped, the discussion moves on, and my Not A Box idea gets placed neatly into a box. Many people also experienced their identities as being outside of any box those around them can imagine. Refugee children and families have this experience daily. Their experiences, their lives, the futures they imagine for themselves don’t fit neatly into the boxes of nation-state borders, into the boxes of schooling, and into the boxes of belonging. They learn about a world in which they don’t fit. The government schools in the area of Cairo where the family could now afford rent were of very poor quality, and her mother felt as if Manar were learning very little. The only other school options were problematic as well: at the costly private school Manar initially attended, her teachers were “warm and caring,” but the other children teased and bullied her incessantly to the point where she felt unsafe; and the informal Syrian school, which was free and followed the Syrian curriculum, would keep her connected to a Syrian community but isolated from Egyptian society and any credentials that she would need to stay in school. Manar was learning about a world in which there was not a “good school” that fit her. 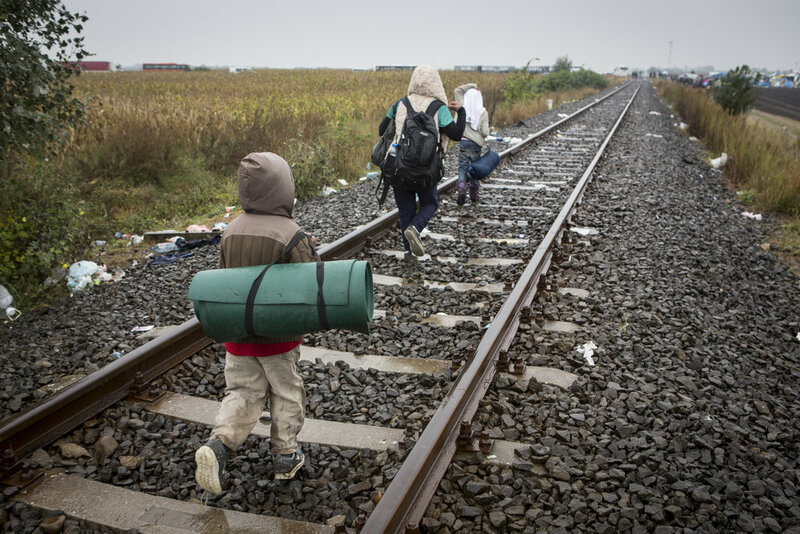 The United Nations outlines three possible “durable or comprehensive solutions” for refugees. The idea is that these “solutions” represent an end to the persecution that led to a refugee’s flight. The solutions are resettlement to a distant country, like Canada or Norway; return to the country of origin, like Manar to Syria; or long-term integration in the host country, like Manar in Egypt. The problem is that Manar can’t predict which of these durable solutions might be available to her. This uncertainty has implications for determining the criteria for a “good school.” What kind of education would allow her to bridge her present reality in exile in Egypt with an imagined, but uncertain future? Would she return to Syria? If so, the informal Syrian school could provide a safe temporary environment and perhaps ease transition back to school in Syria. Would she remain in exile in Egypt? If so, following the Egyptian curriculum and obtaining Egyptian certification could help her continue her studies and create a livelihood. And creating strong relationships with teachers and peers in Egyptian schools could be worth the challenging and long-term investment. Would she seek to move onward, toward Europe? If so, strong basic skills and certification that could transfer to another national context could be key. But Manar can’t answer these questions. Her choices of schooling place her on a pathway to a certain future, but that future is unknowable. Refugee families, along with policymakers and teachers, struggle daily with the uncertainty of unknowable futures. But they must make decisions, in the present, about the curriculum that refugees will follow, the language in which they will learn, the kinds of certification they will receive, and the types of schools that might best prepare them for work and for life, both in the present and in the future. They are really trying to answer, what is the purpose of education? Education of refugees helps us to see just how neatly education has been packaged into boxes labeled “nation-state.” The power of this nation-state box approach is like the rhino, like the grown up. It sticks. But it does not always reflect the ways in which refugees seek opportunities. We know that young people growing up today – sitting in cardboard boxes in Kabul or Kingston, Bujumbura or Beirut – imagine and plan for lives that transcend nation-states. For Manar to embed herself in more than one nation-state could be a strategy to combat the uncertainty and to leave open multiple possible futures. At the same time, in most countries refugees cannot access rights that would enable them to create these futures; they do not have the right to work or to own property. Education for multiple futures could keep open the options, but no matter what kind of education, these possibilities for Manar will still depend on the restrictions that nation-states impose on her. It will depend on the boxes. The futures of millions of refugee children like Manar will depend on making our nation-states, and the education within them, less box and more Not A Box. Some of the ideas in this blog were shared in the Askwith Forum: Learning to Change the World, at the Harvard Graduate School of Education on October 27, 2017. You can watch the video of that event here.